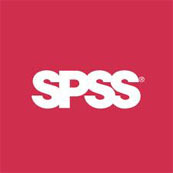 With SPSS predictive analytics software, you can predict with confidence what will happen next so that you can make smarter decisions, solve problems and improve outcomes. IBM SPSS software enables educators to teach effectively, helps students gain critical analytical skills and supports more accurate and insightful institutional research and decision-making. Uncover hidden insights in your customer data so you can create personalized experiences that win more business while reducing costs and increasing customer loyalty. Ensure your people, processes and assets are aligned and optimized to maximize productivity and profitability.